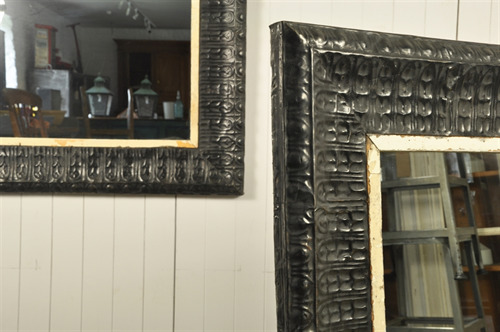 Repurposed Black Panel Mirrors - Original House – Decorative Antiques, Vintage Industrial Furniture and Lighting, Cotswolds. 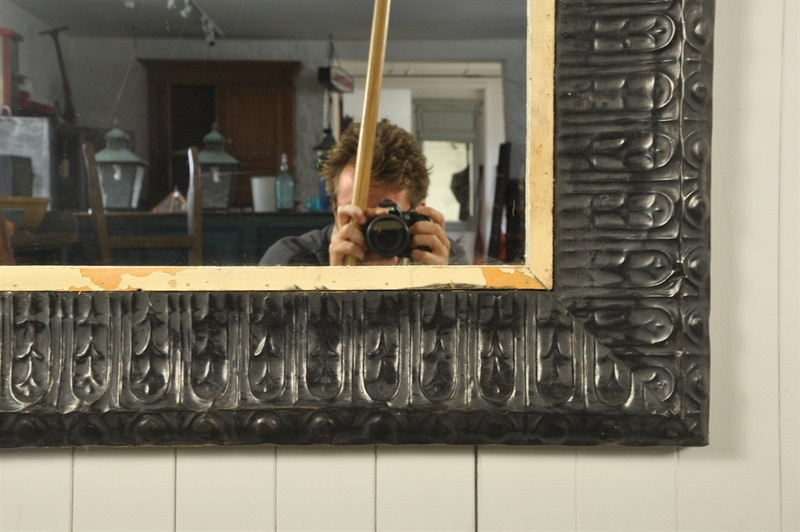 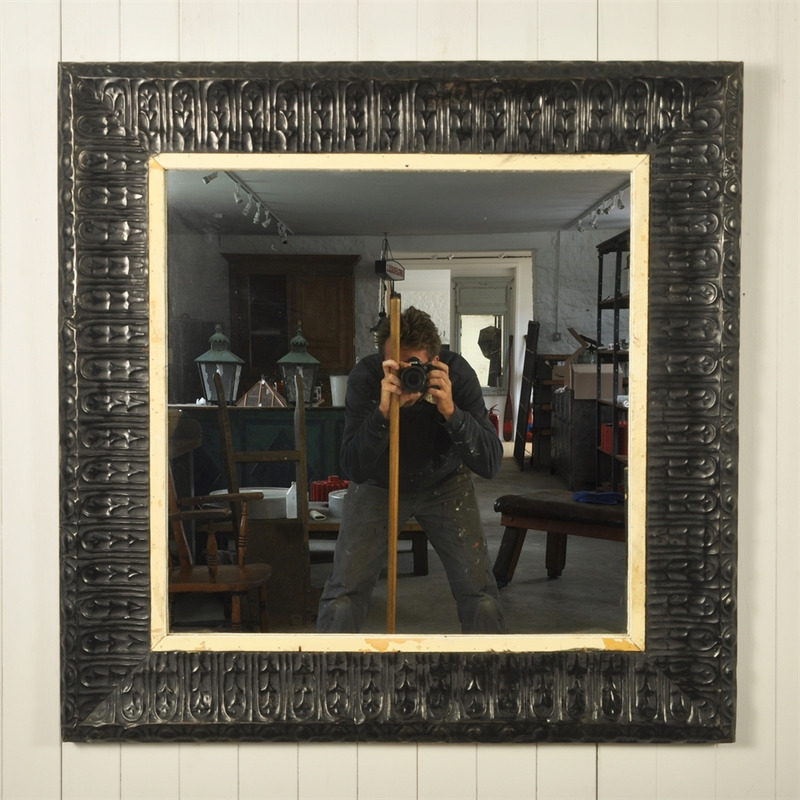 These interesting mirrors have been made using 19 th century decorative zinc panels which have been salvaged from the ceiling of buildings in New York as well as other reclaimed materials. 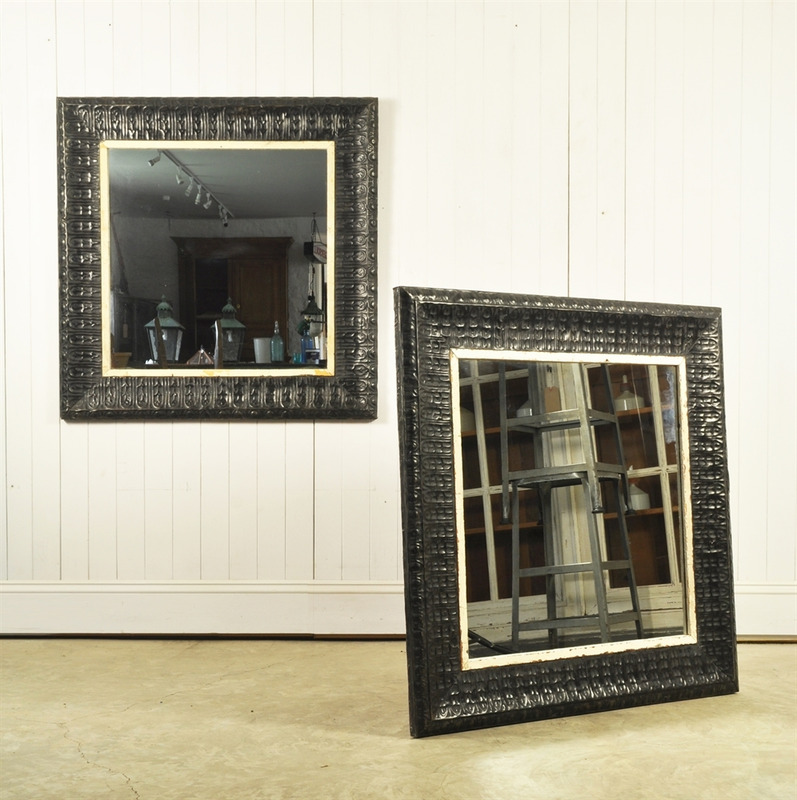 A great use of recycling, producing these large scale and interesting mirrors. 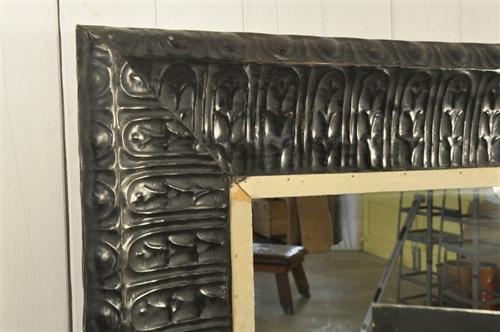 These panels were burnt to remove the thick layers of paint and then waxed. 101cm x 101 x 5 d.
These are sold but we hope to be able to buy some more in February.